Theory11's Stingers are, contrary to their brand, printed on Aristocrat stock in black and red editions. 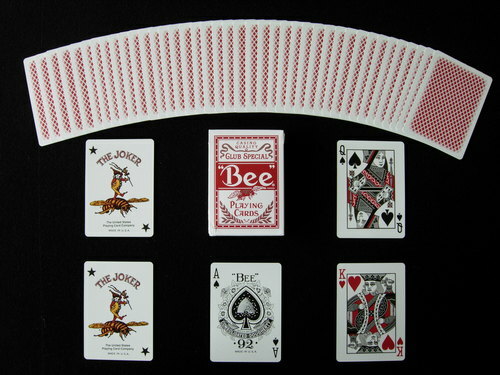 The fade to white Stinger borders were originally developed as a countermeasure against card cheating. 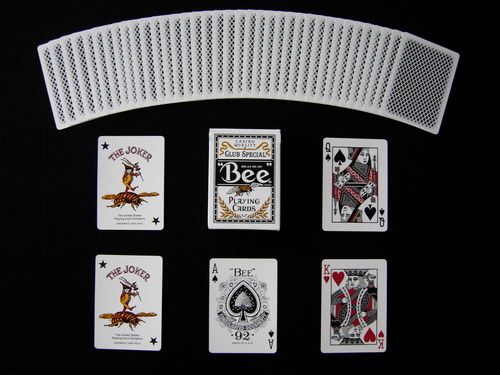 Faces are standard Bee faces except for the grey and red colour scheme of the court cards. Comes with 2 Jokers and a double backed gaff card.